Keyboardist/vocalist/songwriter Tom Brislin is an internationally-recognized performing and recording artist known for his versatility and musical passion. Throughout his career, Brislin has performed as a sideman, on tours and recordings with some of the iconic names in rock including YES, Meat Loaf, Debbie Harry, Camel, and Renaissance. As an artist, he has produced and written several albums with the synth-rock group Spiraling, and released his first solo album Hurry Up and Smell the Roses in 2012. The album has been given a limited edition vinyl release by the UK label Plane Groovy in 2013. 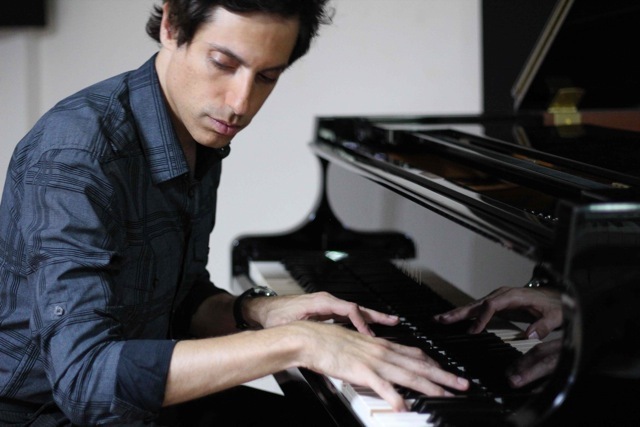 Brislin was selected to be the guest piano/keyboard faculty at Swarnabhoomi Academy of Music, a professional music college outside Chennai, India, in 2014. Other credits include collaborations with Glen Burtnik (Styx, The Orchestra), Francis Dunnery, The Syn, Josh Kelley, and OK Go. He is the author of 30-Day Keyboard Workout (Alfred Music Publishing), and is a long-time correspondent for Keyboard Magazine.